As far as technologies go, faxing is ancient. It predates the telephone by over a decade and, despite vast advances in scanning and email technology, the fax still remains a standard form of communication. When a transmission goes out, the occasional telecommunication ‘hiccup’ or line noise can corrupt the fax. 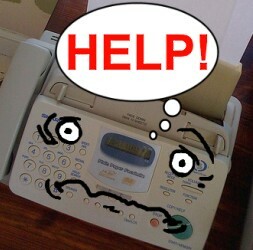 Most modern fax machines have some rudimentary error handling that will alerts the user that the fax should be resent. This method of managing failures has been working so well that no one really saw fit to change it. That is, until a business analyst at Torre L’s company had a bright idea. Though the analyst's concern was valid, Torre and his group argued that sending back a failed fax transmission would not necessarily make it easier. They argued that it could tie up the original sender's machine and could actually prevent someone from resending their original fax. "It's okay," the analyst replied, "Our software can send and receive in parallel. This idea is the best thing since the iPod! It's bulletproof!" But the arguments were for nothing; in management's eyes, the business analysts were always right and the feature was completed in short order. Named the "FaxBack" program, it did exactly as the name implied; it faxed a failed transmission back to the sender (as identified by Caller ID) moments after the failure occurred. Everything went along without a hitch for a good long while. That is, until two police cruisers — sirens blazing — showed up at Torre’s office. They said they were responding to a 911 emergency call, but there was no emergency and nobody claimed to have dialed 911. They officers left shortly thereafter, but, in the wee hours of the next morning, two different police cruisers rushed to the scene. Again, there was no emergency and no 911 call, so they too left without incident. But the third time, when a cruiser showed up the following afternoon, the officers refused to leave until the source of the “disturbance” was identified. The police department was certain that a call came from a phone number within the company, and they demanded to know what exactly was going on. 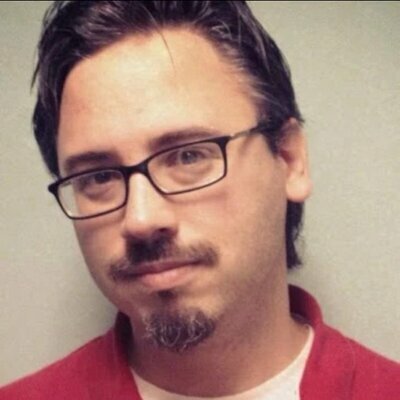 After spending the rest of the afternoon and part of the evening of tracing phone calls internally, Torre traced the 911 calls to the data center, or more specifically, to FaxBack. The faxes machines, like the office phones, had to dial "9" for an outside line. So when FaxBack responded to a failed fax from New Delhi by dialing "9", and then India's international country code of 11, a "special case" rule in the the telecom system kicked in. Whoever had first installed the telecom system had the bright idea to treat “911” as a special case since, ordinarily, one might not think to first dial “9” in case of an emergency. The special case applied to the lines in the fax pool -- even if the caller would only ever be a computer. The obvious solution here is a phone keypad that goes to 11. But on the other hand, are you going to remember to dial 9911 when there's someone dieing on the floor next to you? Dialing 9911 won't get you the emergency services. So remember the new number.